We received our first iNbox. 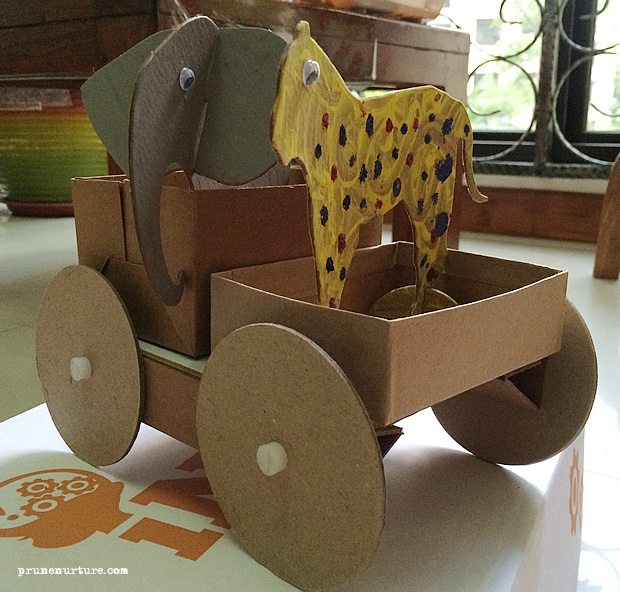 The theme for this month is “Wild Safari” and there are five activities in the box where parents and child can do together. 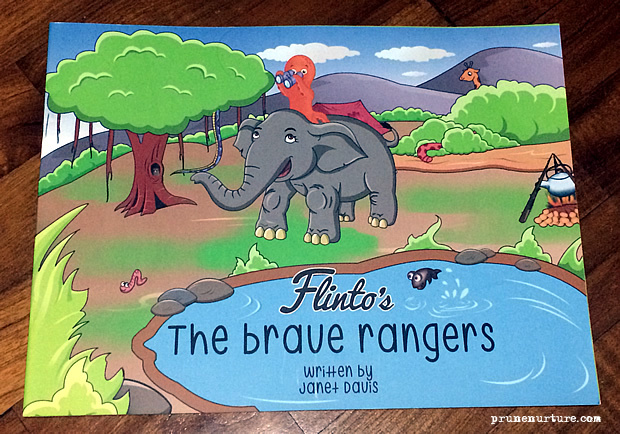 We have fun playing the boardgame; painting the animals; building the jeep; exploring, observing and drawing the animals when we were at the zoo, and the nights where we read “Flinto’s The Brave Rangers. The first thing Dot fished out of the box that night was the Safari themed board game. A simple “rescue” game to match the animals together. A game that is just right for her age and very engaging. We have been playing this game for several nights now and she is still enjoying it. 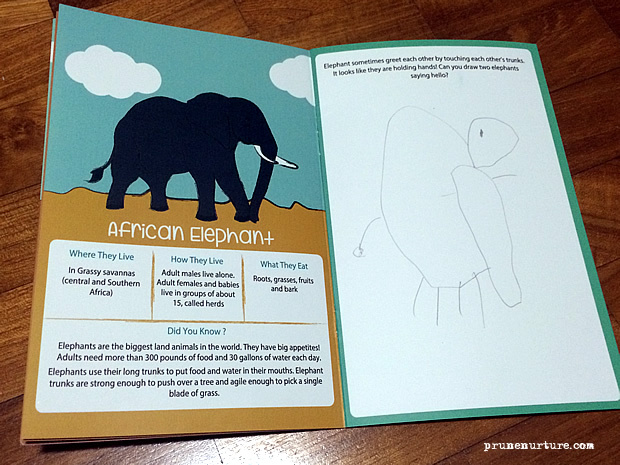 We brought Dot to the zoo that week and she brought along the “Keeping learning animals” booklet, where she could learn more about the animals and also draw the animal as she observes. 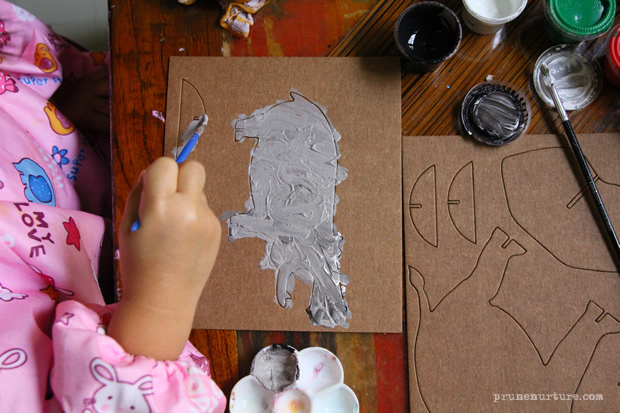 That’s when I showed her how to mix white and black paints to get grey colour. Later she learnt to mix the colours on her own. When Dot and I were trying to assemble our Safari jeep, I realized that there was a missing piece. When I informed Gabriel from Smart Alley about the missing piece, he gladly sent us the missing piece. Dot enjoys the adventure story about Flinto, the octopus and his friends. She requests to read this book for several nights before she sleeps. A simple story about friendship and teamwork. I like the professional and good quality packaging. The materials used to produce the activities are reasonably good for the price. It’s a good resource for busy parents who find it difficult to fork out time to prepare materials to engage and to teach their children. All activities come with clear instruction sheets, except the book. Some of the feet of the die-cut animals are a little loose. They come off easily and it can be a little frustrating for the child. The typeface used inside the storybook does not look very friendly. I prefer “the brave rangers” typeface used on the book cover. Generally the activities are engaging and interesting. Our family like the boardgame the best. 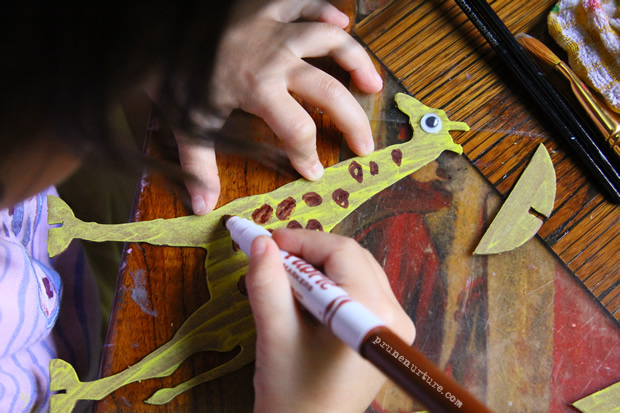 As the activities in the box are mainly to be done indoor, it will be great to have interesting activities that will encourage the child to observe nature and the outdoor surrounding. 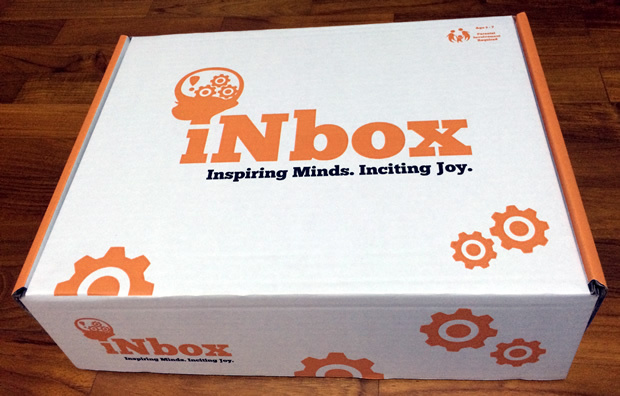 iNbox is an activity subscription box that is driven by a storybook. It is made specially for children age 3-7yrs old. Flinto, the octopus, together with her friends are the key characters in the story. 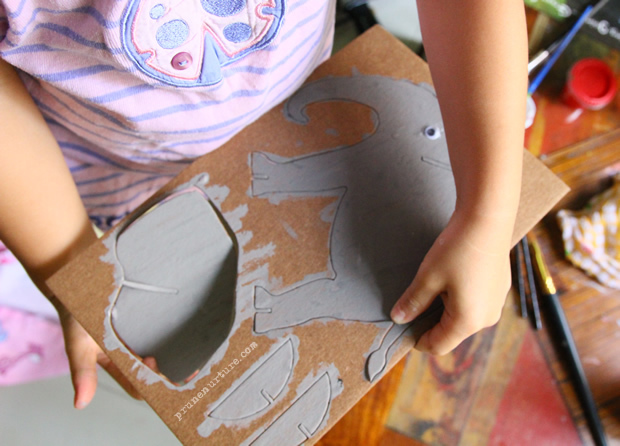 Through the book, 4-5 activities (including the book) will be included in the box each month. The activities includes, art & crafts, science, board games, card games, puzzles and other fun filled activities. 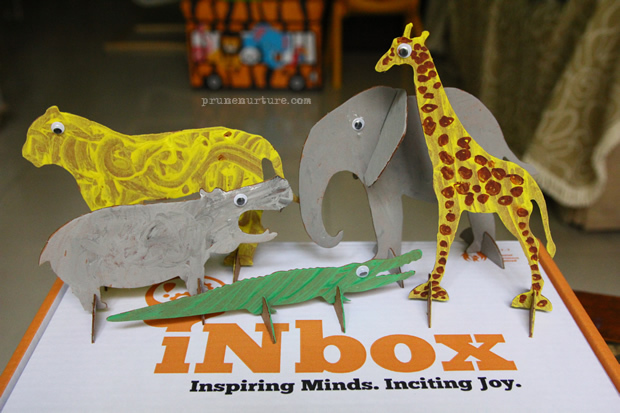 iNbox is made with family bonding time in mind and many activities will require a parental guidance and involvement. iNbox is currently available through smartalley.com.sg, the producer of iNbox, and myinbox.sg. Currently, there is a special promotion price for 3-month ($25.00 per month), 6-month ($24.70 per month) and 12-month ($22.40) subscriptions, valid till end March 2014. For more information, please visit myinbox.sg. For more news and update about iNbox, visit iNbox facebook or follow iNbox instagram @myinbox. Disclaimer: We received a free iNbox for product review. No monetary compensation is received.